S (M, L): 16.2 (18.5, 20.7) cm / 6.25" (7.25", 8.25") finished hand circumference. They take their name and inspiration from Swedish children’s author Astrid Lindgren whose works lit up my childhood. 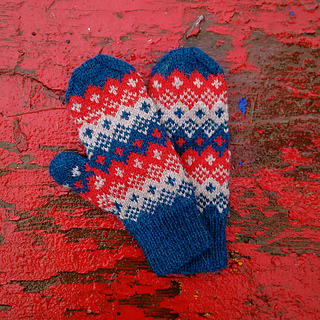 The mittens are as playful and delightful to knit as Lindgren’s books are to read. 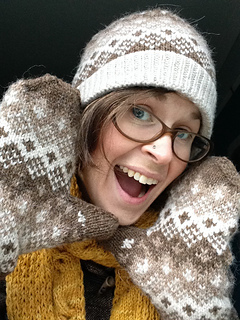 The Lindgren mitts are companions to the Astrid hat. 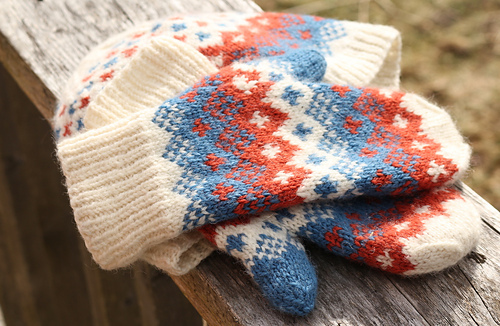 Anyone wanting to knit a matching set will get a £1 discount applied at the checkout.